Today is a cross training day because tomorrow is my long run. I always try to take the day before my long run off from running. After spending some time on the bike this morning, I threw in this workout for my core. It is short, but I could feel it working. Next time I'll probably do it twice to make it a 10 minute workout. Call me crazy! Last night was Back to School Night. 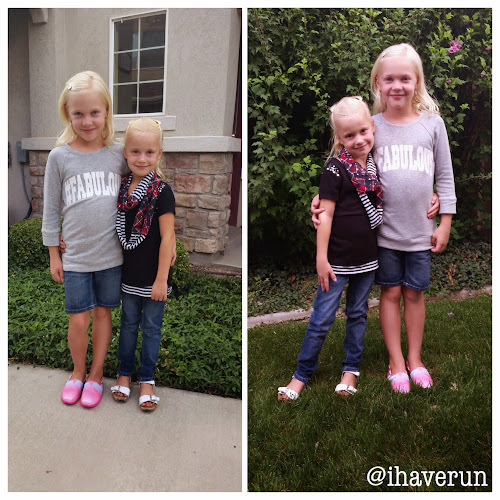 Because my girls wear uniforms, we let them wear some of their other new "school" clothes. Princess Grace broke out her #FABULOUS shirt and her cute new pink shoes, and Ellie Bean wore her fancy new shirt/scarf and a pair of jeans from Justice, which were especially awesome because Justice just started carrying clothes in a size 5 (aka teeny tiny). 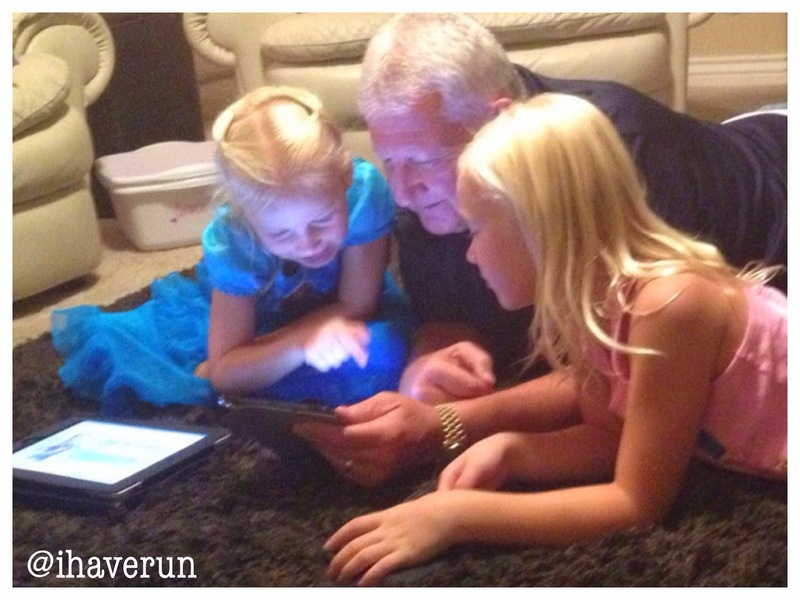 Then after Back to School night, the girls taught Grandpa how to play a couple of games on his iPad. And last but not least, I tested out the Marika Magic Capri the other day. It will be great for cycling and yoga. I am excited to add it to my cross training rotation. I won't wear it to run because it is made of primarily cotton, which isn't my favorite for running, but it will be great for lots of other things because it is super soft and comfy. You can get 30% off the Marika Capri and anything else you purchase by using the code MM30 on Marika.com between now and the end of the month! Capris, shorts or tights to run? They are so adorable! :-) I'll have to try out that workout...Gotta strengthen my core. Let me know if you like the workout! I got a few tears in my eyes seeing your Dad and your girls. Man..I miss my brother!